Stamford Notes: Sculptures are back! Anybody who has lived in our neck o' the woods for more than 15 seconds knows that every summer we welcome a gaggle of new summer sculptures. We've had cats-n-dogs, realistic people, crazy wild animals and many other seasonal visitors. This summer's theme has been revealed: Wit & Whimsy. 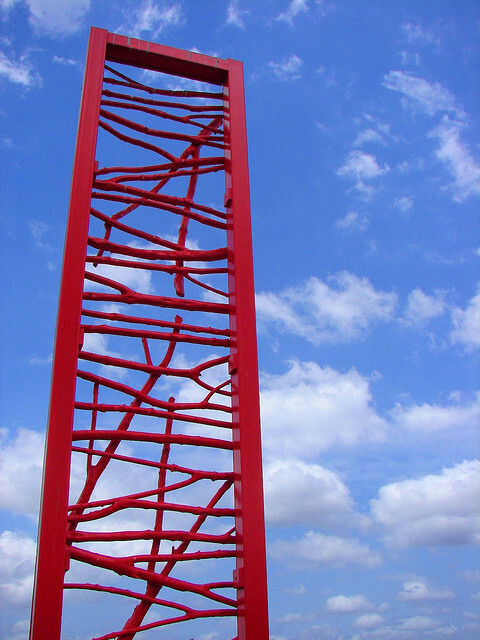 Stamford Downtown and the City of Stamford bring you 40 sculptures by 12 different artists on display from June to August. They get the summer party started on June 8th at the Stamford Marriott. You can learn more on the DSSD website or by calling 203.348.5285. You can see a list of sculptors and sculptures here.